Hanging out with a focused group of spey casting and steelhead bums puts you in a great environment for the evolutionary development of spey rods. Tim and his team of spey bums, including world champion caster Mariusz Wroblewski, designed the Echo3 Two Handers to fit the largest range of casting styles and be equally comfortable casting Skagit style shooting heads or long belly floating lines. The new Echo3 series of Two-Handed rods are the most versatile Spey rods Tim has built to date. The light feel provided by the high modulus material give you supreme flex recovery and tighter loops. 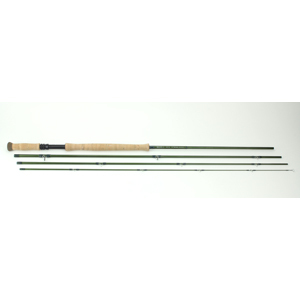 These rods feel great when first picked up, but really shine in your hands on the water.